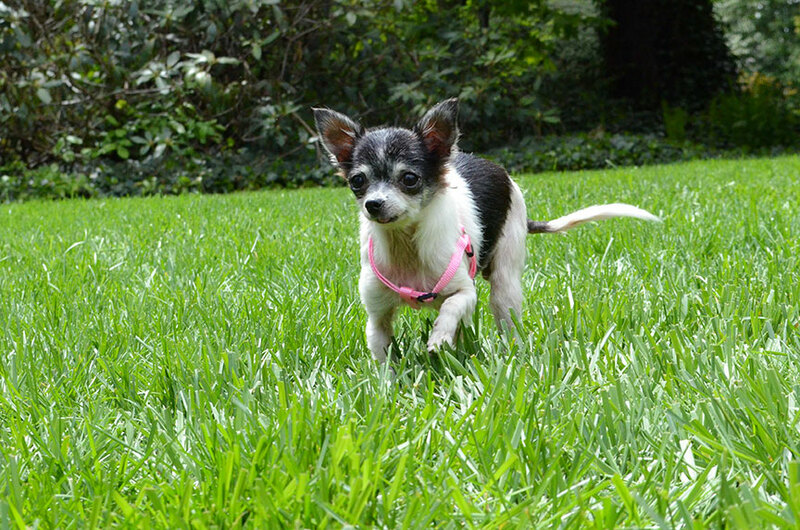 Ruthie Sue lived as a breeder for 14 years before she was turned into a shelter. Ruthie came to Finding Shelter and moved into a foster home and immediately started to thrive. 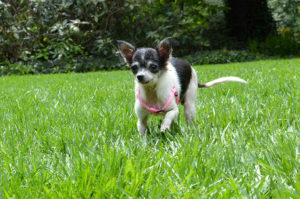 Ruthie is a sweet and happy dog and her tail is always wagging. She loves to be comfortable and even though she only has a couple of teeth, she likes to chew bones. Ruthie is a very loving girl! Ruthie Sue is sweet, loving and cuddly! 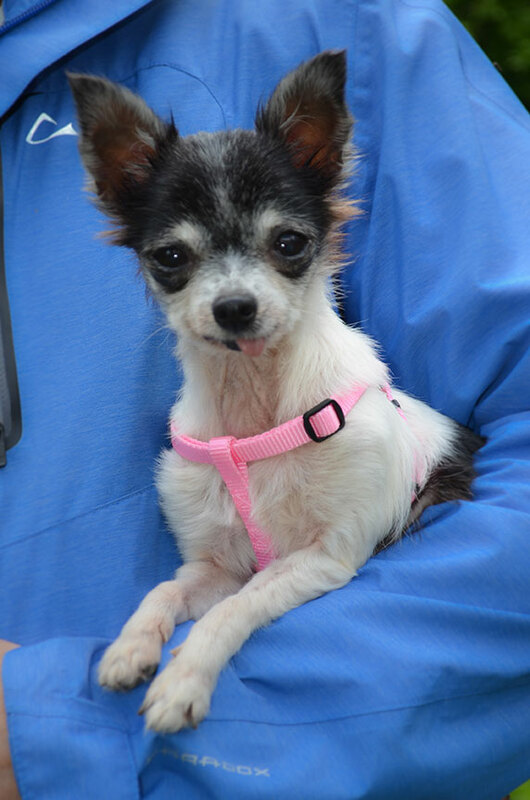 Ruthie Sue suffered a gran mal seizure while in our care. She is now taking medication to help prevent further seizures. She also had a mammary tumor removed during her spay. Ruthie Sue is good with dogs! Ruthie Sue is good with calm, gentle children. A secure, physical fence without gaps is required for Ruthie Sue. She is quite adept at squeezing out of tight spaces!